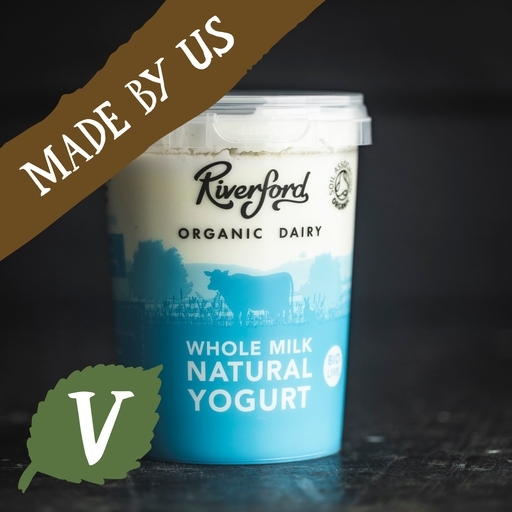 Our neighbours at Riverford Dairy make their whole organic yogurt with fresh milk from their pasture-grazed cows. Tangy and fresh, with a creamy texture and lots of friendly bacteria. A dollop of yogurt, a good shake of granola plus a fistful of fruit equals one of the best breakfasts ever. In many dairies yogurt is merely a by-product – a way to get rid of older milk. At Riverford, however, our yogurt is made from fresh milk, usually on the day the cow is milked. And those friendly bacteria in the culture are called: bifidobacterium, lactobacillus acidophilus and streptococcus thermophilus.